Oh happy days that it's truly fall around here. 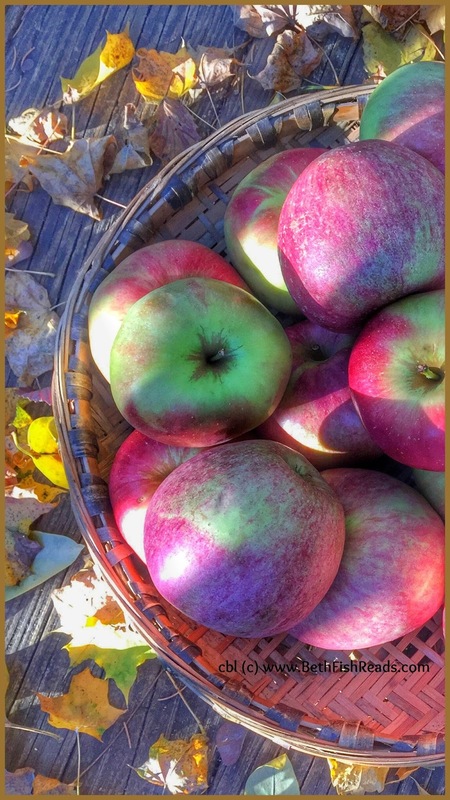 The mountain is red and gold and russet, the skies are deep blue, and the apples are at their best. Still, it's hard to believe that Thanksgiving is only few weeks away . . . and after that (Yikes!) Christmas, New Year's Eve, and a whole new calendar. 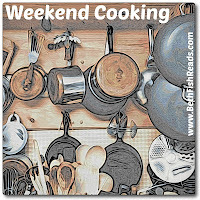 Today's Weekend Cooking post is brought to you by the mad saver (that would be me). As I wrote a few months ago, I often use Evernote to save links to websites I'm sure I'm going to revisit so I can try out some recipes or print out a few tips. The good news? Just because I don't remember to check out my saved links, doesn't mean you can't explore them for yourself. Enjoy. Have Your Cake and Pie Too with the Glorious "Piecaken": If House Beautiful says it's a thing, I guess it is. Yet, the thought of this layered dessert (three pies baked in a cake) has me cringing. I'm just saying no, even though some of the Instagram photos are pretty impressive. This 10-Minute Cookie Machine Is Going to Be a Baked Good Game Changer: My first thought was, Huh? But after I read about this Kickstarter project on Refinery 29, I began to change my mind. Although the gadget isn't for me, it would make an awesome gift for anyone living with restricted cooking facilities or maybe even physical limitations. Perfect for a college dorm! Grab-and-Go Quick Breakfast Recipes: Breakfast is one of my trouble spots. I get so tired of switching between oatmeal and eggs. Thank you Cooking Light for putting together these recipes. Despite the fact some of the meals don't look very "go" friendly, I see several I want to try. What's Up with the Cookbook Industry These Days? : Have tablets and Pinterest sent the printed cookbook into decline? The Los Angeles Times gives us the inside scoop on the state of the industry. An Archive of 3,000 Vintage Cookbooks Lets You Travel Back Through Culinary Time: Talking about cookbooks, check out this amazing site, which is a haven for cookbook lovers and food history buffs. The archive is maintained by the Open Culture Project and is freely available to the public. Discovery credit and many, many thanks go to Jill from Rhapsody in Books. How to "Wash" Your Cast-Iron Skillet: Do you use soap when you wash your un-enameled cast iron? I know cooks have strong feelings about the proper way to care for these workhorses of the kitchen, and the soap issue is a biggie. Here's what food magazine Bon Appetit has to say about it. That's my link round-up for the the late fall season. I hope you don't get lost while checking out those 3,000 cookbooks! I can see why you bookmarked those links, but also I see why you can never get back to everything that ever looks intriguing! I wonder how many of us your readers will actually get around to reading them. I started with the LA Times analysis of why hard-copy cookbooks are selling well and digital ones are tanking. Very interesting article. Later in the week maybe I'll read more. The piecaken doesn't look good to me either. "Piecaken" is a riot! But actually I think all those embedded foods, like turducken, sound kind of gross! I don't know if you have ever been to Bonnie Slotnick's Cookbooks when you have visited NYC, but if you haven't you would enjoy it so much. She has the most amazing selection of cookbooks, you could spend hours there. What interesting links! I'll pass on the piecaken too -- it seems sacrilege to mess up the pureness of pie. :) Will check out the cookie machine for a college student I know and I welcome new breakfast recipes. As one of the last grads of Miss Farmer's School of Cooking, which closed in '77, and an avid cookbook collector, the archives link was wonderful. Although not particularly a fan of America' Test Kitchen, the book they produced,Fanny's Last Supper, has some marvelous pictures I had never seen as a student. And, prior to that documentary/ book, I had no idea about Miss Lincoln, nor ever heard of a book that Farmer utilized. Until today, I never had even seen it! But now I have a epub of it! Now, my next search will be for an actual copy.Although I rarely open any of my collection, I still add to it from time to time....and still primarily use my 9th ( war) edition of Fanny Farmer. Thanx for this link...you've made my day! I think I'll take a pass on the Piecaken! I think my daughter who is college would be seriously on board for that cookie machine! Now I'm going to go check out those vintage cookbooks! This is the first time I've been to your site. I live it can't wait to come back and read more! The archive of 3,000 Vintage Cookbooks is awesome!! The Piecaken sounds gross. Maybe if it only had one pie inside...no, still gross. I do the salt and oil cleaning of my cast iron pan. I don't use a cup, and I use the coarse himalayan salt. I grind some into the pan, rub it with a paper towel, and put some oil in. Then I rub off most of the oil. I don't use it for meat so that may make a difference. I actually have a sub-folder in my email cooking folder called 'recipes to try.' And on my browser I have a 'food' bookmark in the bookmarks bar that has some recipes I might like to make. 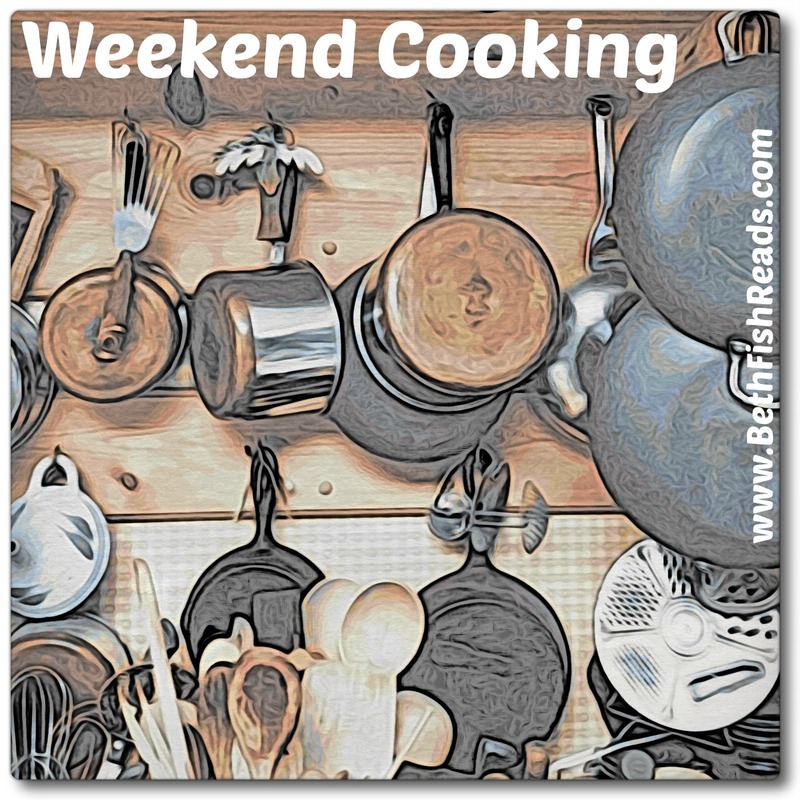 I have worried about cookbooks since so many people rely on the internet now - not just pinterest but all the zillions of cooking sites. I'm off to read the article. Thanks. I just read the article. SO heartening. Makes me happy, happy, happy. I admit that I do wash my cast iron skillet with soapy water, but I always dry it with a paper towel and then rub oil into it to re-season. I sleep better at night knowing I won't poison my husband with old fish or chicken sediment in the pan. Or have something taste like a previous food item I've cooked in the pan. Ah, Evernote. Someday I'll look at all the recipes I've saved there! Ha! The grab and go breakfasts are calling my name! Interesting about printed cookbooks, I hosted a birthday brunch for my 30 year old niece yesterday and gave her a cookbook. Most of the other guests were around that age too. All agreed that cookbooks were probably the other books they buy nowadays as they love to look at the photos and browse through the recipes. P.S. just finished reading the LA article on printed cookbooks and totally agree about dog-eared cookbooks. My oldest cookbook, Betty Crocker is still my go to when I am looking for some things and it has many sauce stained pages!! I use an e-reader for all my other reading. I do tend to "pin" a lot of recipes but rarely go back to make them!! Piecaken does not look appetizing to me, but I bet my husband would love it - he is a pie lover! You know you can always tempt me with Cooking Light recipes - too bad I am eating Paleo because these all look delicious, especially the baked goods!